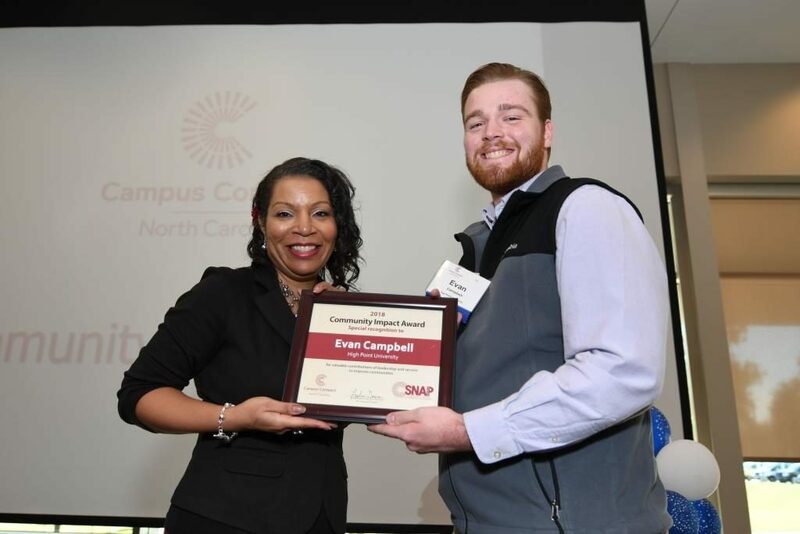 HIGH POINT, N.C., Jan. 17, 2019 – High Point University senior Evan Campbell was recognized for outstanding leadership and service by North Carolina Campus Compact, a statewide network of colleges and universities with a shared commitment to civic engagement. 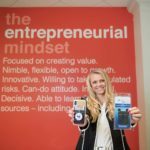 Campbell, a business administration major from Apex, is one of 18 students selected for the Community Impact Award, which honors one student leader from each of the organization’s member schools. 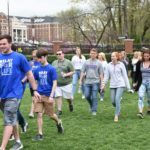 He joins more than 250 college students who have been recognized since the award was first presented in 2006, including 11 past HPU recipients. 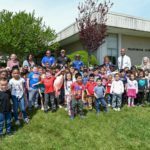 Campbell was nominated for his leadership and dedication to serving D-UP and PNAC, two afterschool programs for children in the nearby Washington Street neighborhood. 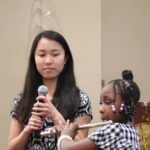 Campbell, an HPU Bonner Leader, coordinates student volunteers, tutors children and leads afterschool activities. 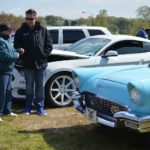 He also teamed up with other Bonners to establish a Boy Scouts program in the neighborhood. North Carolina Campus Compact is a collaborative network of 37 colleges and universities committed to educating students for civic and social responsibility, partnering with communities for positive change and strengthening democracy. 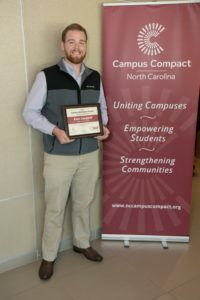 Founded in 2002 and hosted by Elon University, the North Carolina network is an affiliate of the national Campus Compact, which claims 1,000 member schools representing nearly 2 million college students. HPU President Nido Qubein is chair of North Carolina Campus Compact’s executive board.